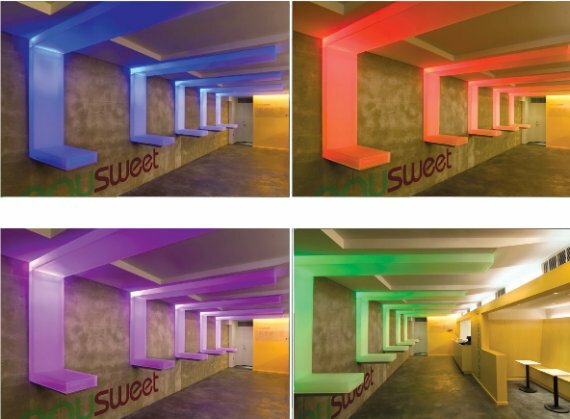 KUBE Architecture designed this vibrant interior for the recently opened Tangysweet frozen yogurt store in Washington, DC. 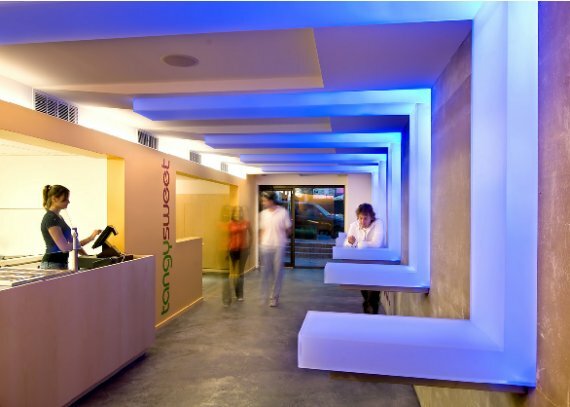 Tangy Sweet’s cutting edge design utilizes sustainable materials and energy-efficient LED lighting to bring to life this yogurt shop located in the busy Dupont Circle area of Washington DC. 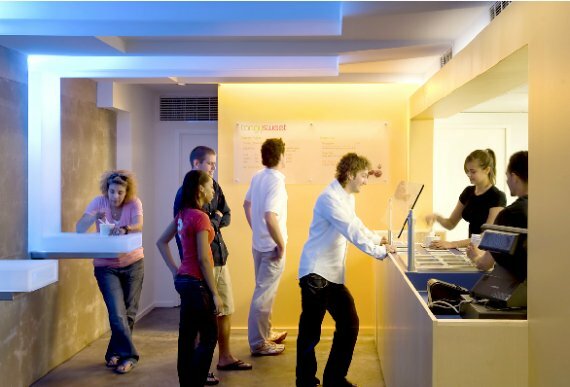 Custom designed light tables glow with color changing lights which introduce the fresh colors and flavors of the yogurt and fruit toppings. 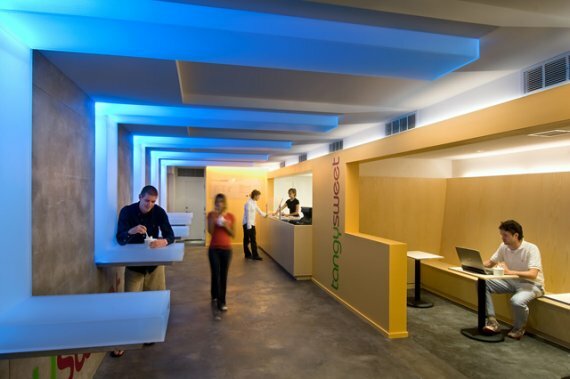 A ceiling of “woven light” creates a sense of openness and interaction in the main space, while the more intimate “yogurt lounge” provides an area for quiet conversation and retreat. Visit KUBE Architecture’s website – here. Visit the Tangysweet website – here.